Would you like to learn how to apply practical knowledge and skills needed in electrical engineering ? 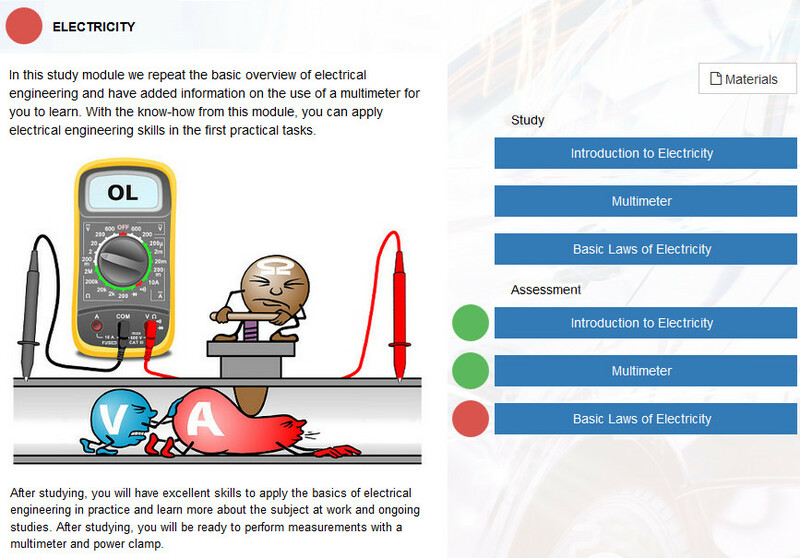 Then this new Electricity course module is the right one for you! In this online course, equivalent to 3 days conventional classroom based training, you will you will learn at the required level of introduction to electrical engineering , the basic phenomena of electricity, how electrical current and magnetism are connected to each other in the generation and use of electricity. 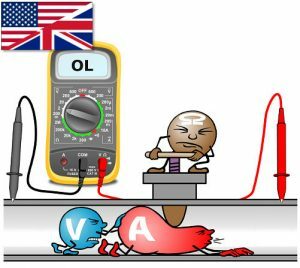 You will understand how electric current is generated by a traditional generator and how other ways of doing this differ. The learning introduces you to the mathematical application of electrotechnics through practical examples. The purpose of sample results and calculations is to guide you to make similar mathematical applications with your own measurement results. This will help you achieve the true know-how of electrical engineering; “The practical application of electrical engineering”. After studying, you have excellent skills to apply the basics of electrical engineering in practice and learn more about the subject at work and ongoing studies. 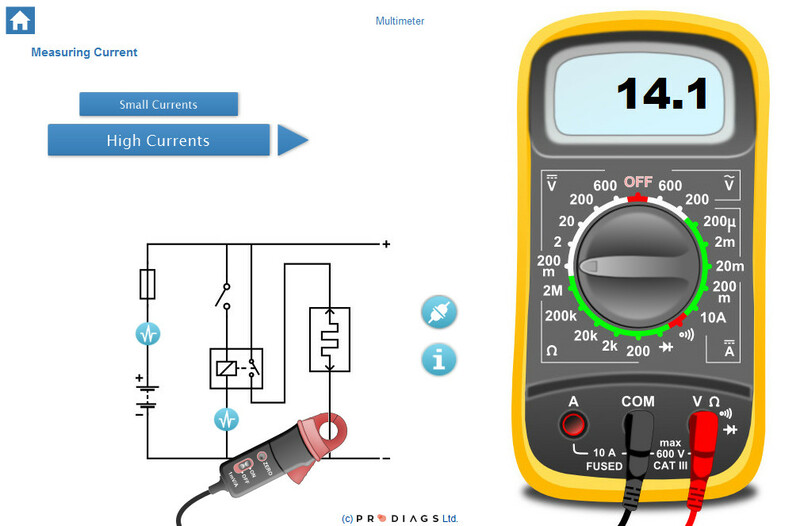 After studying, you will be ready to perform measurements with a multimeter and power clamp. For all available Prodiags courses check our our webshop.